VietNamNet Bridge - Challenges to environmental security not only threaten human life and food security, but also national security and human survival. The Global Climate Risk Index 2016 ranks Vietnam seventh in the world in long-term climate-related risks. According to the Institute of Meteorology and Hydrology and Climate Change, over the past 30 years, natural disasters in Vietnam caused 500 deaths, including missing people, each year, injured thousands of people and caused a loss of 1.5 percent GDP. Every year, Vietnam is directly affected by six to seven storms. In 1990-2010, Vietnam incurred 74 floods. Typhoon Linda in 1997 landed in the South in which 3,000 people were reported dead and missing. The natural disaster destroyed more than 100,000 houses and 300,000 hectares of rice fields. Typhoon Xangsane in 2006 landed in central provinces, with 76 people reported dead and missing, and 532 injured. In 2011-2015, natural disasters caused 1,141 deaths and missing cases, and damaged VND55,400 billion worth of assets, lower than that in 2006-2010, but still high. 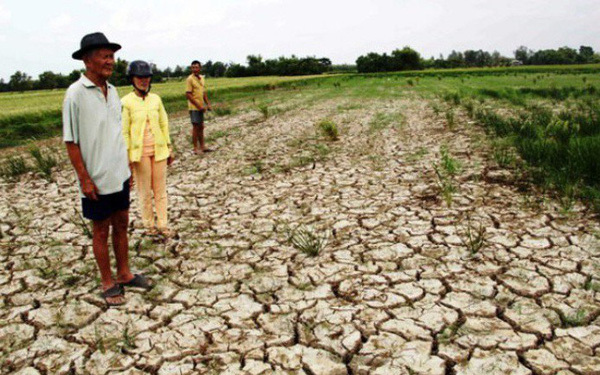 The General Statistics Office (GSO) in 2016 said that the spells of damaging cold in the north, serious floods in the central region, droughts in Central Highlands and saline intrusion in Mekong Delta all upset people’s lives. As many as 248 deaths were reported in that year and total damages reached VND18.3 trillion. The storm in November 2017 killed 100 people and affected 4 million, destroying 25,000 hectares of agricultural land. The Ministry of Natural Resources and the Environment’s (MONRE) 2016 scenario on climate change showed that the average annual temperature in the entire country increased by 0.62oC in 1958-2014. The average sea water level was 3.34 mm higher each year in 1993-2014, while the increase was 5.6 mm in the coastal areas of the south of central region. Under one scenario, the ministry forecasts a rise of 22 cm by 2050 and 53 cm by 2100. Meanwhile, under another scenario, the figures would be 25 cm and 73 cm, respectively. If Vietnam doesn’t have proper solutions to the problem, 16.8 percent of Red River Delta area, 1.5 percent of central coastal provinces, 17.8 percent of HCM City area and 38.9 percent of Mekong River Delta may become inundated. Sea level rise in the Mekong River Delta will cause loss of agricultural land, have direct impact on food and water security, increase poverty, reduce the number of jobs and affect migration.